First published in 1925, this book explores public health and its administration. It looks at both local and central health administration and surveys the various departments including The Board of Education and The Home Office. 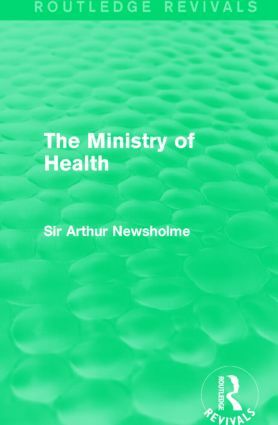 The book discusses motives, principles, and results of reform in the sector and gives a history of public health services. Other chapters include those on public health as a career, poor law and public health administration, and health insurance.